Very known professional dermatologist Dr. Fazeela Abbasi, who runs her clinic. Here she just gave such a small interview to Social Diary, by talking on why we always get acne on our chin, cheek & forehead, and how to prevent it… so for the full ride, here you go! 1. Is it possible to apply too many products to our skin? Specifically, on our face? Overuse of products is the biggest mistake people make in their skincare regimens. Some patients come in with a grocery bag full of products & wonder why their skin does not look or feel great. Bombarding your skin with a host of different ingredients can be irritating. A lot of people like to experiment with foods & come up with fancy homemade facials & hair masks slathering foods on their bodies which should have been eaten to have a healthy effect. I discourage this practice as even a simple food product like garlic & lemon can cause allergic skin reactions. Simple henna tattoos can cause allergic contact dermatitis. The take home message is, do not overdose your skin with multiple products at one time. Keep your skin treatment simple, straight & forward. 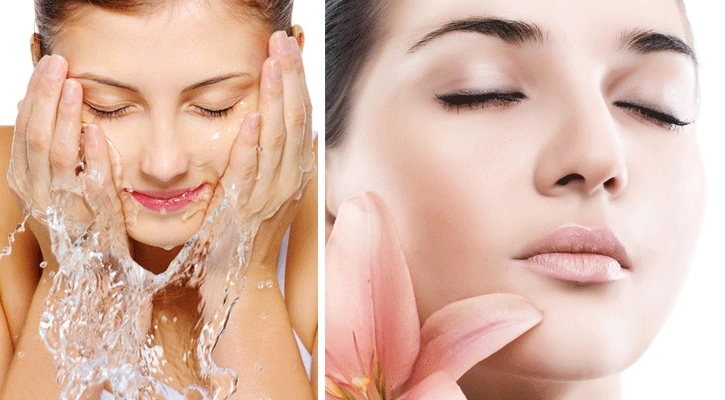 The simpler your skin treatment, the more likely you are to stick with it & enjoy the benefits. 2. Why is it vitally important to know our own skin type before applying various cleaners, moisturizers etc to our skin? Skin is a living organ & is of different types in different individuals. The genes decide what type of skin the person will have & it’s the physical environment along with his life style & health that can alter it. It is of utmost importance to seek guidance from the dermatologists before you spend fortune on buying products that your skin might end up rejecting. 3. How many times per day should we moisturize our skin? What are the short and long-term effects of not moisturizing your skin? I have a rule of thumb …Moisturize when skin comes in contact with water. Moisture has nothing to do with the oiliness in the skin. Moisture and sebum/oil are two different entities. The type of moisturizers will be different according to different skin types and in different weathers. Oil free moisturizers during the summer & emollients during winter are more in demand as cold temperatures & indoor heating can rob your skin of moisture. The short or long term effects of not moisturizing could result in a dry to very dry skin with an ineffective skin barrier function resulting in an unhappy irritated allergy prone skin. Unhappy skin gets old at a quicker pace & gets etched with lines & wrinkles. Different skin illnesses like acne, rosacea & psoriasis flare up & skin allergies take a toll in an unhealthy dry angry skin. 4. Is there a specific order we should follow when applying products? Absolutely, when used in wrong combination some ingredients will cancel out each other’s benefits. For e.g. the acid in glycolic or salicylic acid breaks down ingredients like retinol, vitamin C or hydroquinone. Use one ingredient product at a time. After exfoliation, a product containing hyaluronic acid or ceramides is preferred and skin can simply not be treated by retinoid or glycolic acid containing products. Hence the right sequence of products is a key to a beautiful healthy skin. 5. Should your skincare system in the morning be the same as the evening? It should be preferably different. Sun screen containing moisturizers can’t be used at night time. Heavy emollients can’t be used during day time. Retinoid and skin lightening creams are used at the night time. So there is timing for every product to be used at a specific time. 6. What’s the best thing to apply to your skin whilst you sleep? It can be different according to different skin types and skin problems and vary dramatically at different age groups. 7. Do you think beauty brands market too many products towards their consumers? There has been a dramatic surge in this field over the last few decades. An astounding number of skin & hair care products has flooded the beauty market. There are still very few brands that have progressed with scientific studies & evidence based growth. Consumers are not unaware anymore they understand the importance of formulas oriented around evidence based studies & prefer using medicated brands with the guidance & support of their dermatologists.